Yes, anyone with pets can use this item. We use it with our puppies and dogs. It works really well if you need to close off a part of your room and you need a large pet gate (it’s 120 inches/10 feet wide). 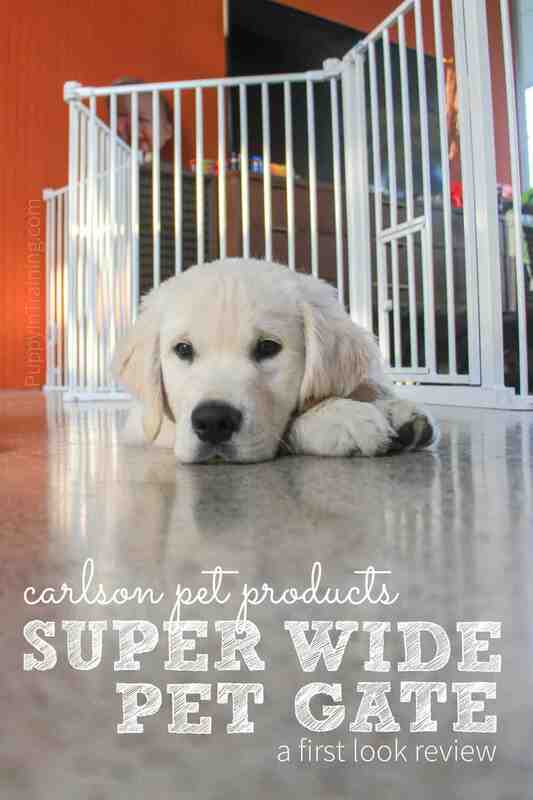 The Carlson 120” Super Wide Pet Gate seems like it will be ideal for our house. Our kitchen and family room are wide open and so is our living room. 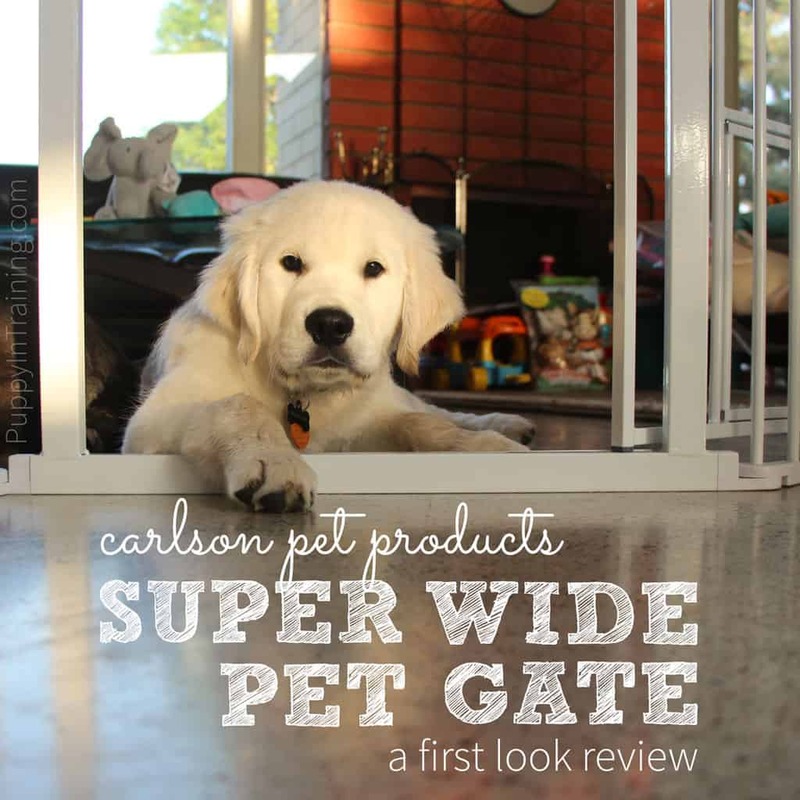 The Carlson 120” Super Wide Pet Gate sounds like it will keep our dog out of parts of our house where we would like her kept out of. Also, we have a lot of toys for our granddaughter that our dog would like to play with and ruin, I will look more into the Carlson 120” Super Wide Pet Gate and see if it will solve our problems. It would probably work well at your house. As I mentioned you might want to check out Carlson’s sister brand Regalo which is more suited for children. One other thing I’d mention is that you can expand the size of the gate if 120″ is not large enough by adding extra panels. This gate looks awesome!! 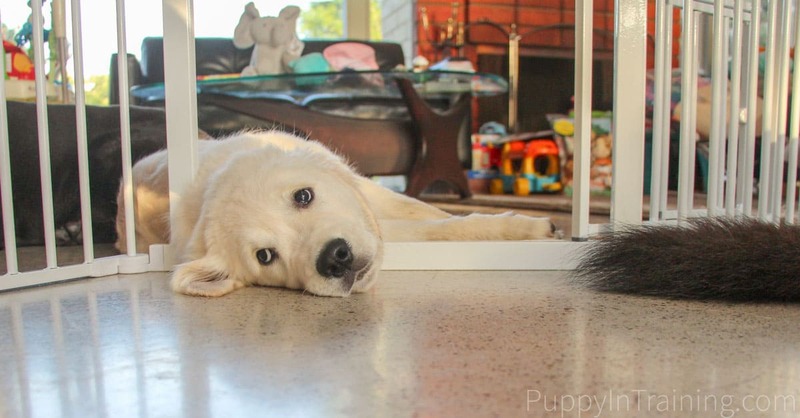 When I think of pet gate I think of those x-pen flimsy ones…not something sturdy like this one. When you say it can be used as a “pet pen” does that mean it can connect together so you don’t need to attach it to a wall? Looks great!! Seems like a good gift for a new dog owner. Yes, you can connect the ends and use it as a pet pen. I’ll look into getting some photos up with it looking more like a pet pen then a gate. We have a smaller gate that is similar to this one and it’s great. (The cat door really comes in handy!) My husband and I are moving to a home with a large doorway/opening between the kitchen and living room. The expandable length of this gate would really work well for us. Our gate fits the large opening between the wall and our couch in our living room. It’s actually a little bigger than it needs to be. I do like the versatility of this gate and that if I need to I can expand the size. Thanks! We’ll try to bring you more reviews. We love Carlson Products. I love that it has a cat door! We don’t have puppies, but Ruby has a bad habit of trying to eat cat food. We have a gate, but she has figured out how to get past it. This one sounds like a good option. At least she’s eating cat food and not cat poop. Raven goes in our backyard and searches for the cat poop…bleck! Yes, this could be a good option for you and Ruby. If you need more information let me know.